Looking up in the evening and seeing the Great Square of Pegasus is a sure sign that Autumn has arrived. Although the Winged Horse contains only a few bright observing targets - the beautiful globular cluster, Messier 15, and the bright spiral galaxy, NGC 7331 - it is very rich in faint, small galaxies. If you have a moderate to large scope, you may find the region around NGC 7331 a very interesting and challenging observing target. Not only does NGC 7331 have four faint companion galaxies lying to the East, Stephan’s Quintet lies a half-degree to the South. Bright and large with a diffuse halo extended E-W. The core is fairly round and brightens towards the center where it is nearly stellar at 158x. There is a bright field star to the E.
At 158x, the core is bright with a stellar nucleus and an extensive halo stretching in a N-S orientation. Two bright stars are located to the East. At 158x, this barred spiral appeared diffuse, faint, and of fairly even surface brightness. It’s elongation was oriented in a N-S position. We had been exploring Mohawk Mountain in northwestern Connecticut. It rises 1683 feet to provide scenic views of the Catskill, Taconic, and Berkshire ranges to the north and the west. At the lookout, just a few feet North of the large white circle that marks the four directions, we saw wild blueberries growing amid the glacial rocks. As we watched a hawk circling nearby, my thoughts turned towards the clouds, wishing they would disappear by nightfall. At 64x, this cluster was large, bright, irregular shaped, moderately compressed and fairly well detached from the surrounding star field. Although many of the brighter stars caught my attention first, there are numerous fainter members populating this cluster too. I counted 40+ stars forming star chains, circlets, with a few dark regions interspersed through the cluster rendering it interesting to explore. There is a bright yellow star located to the northwest. At 64x, bright, small, detached, and poorly condensed. I counted a dozen star with the cluster members varying in range of magnitude. There is a bright yellow star to east. These two dark nebulae are located in Aquila about 2 degrees northeast of Altair and 1½ degrees west of Gamma Aquilae. They are also known as Barnard's E nebula because when viewed together in the same field of view, they resemble the letter E.
Observed at 35x and 64x in a 10" telescope, B142 is a fairly straight dark lane that is positioned in an east-west orientation. Located to its north, B143 is an angular C shape with its two narrow dark lanes protruding westward. Both nebulae lie in a densely populated star field of the Summer Milky Way and may give the impression that the star field they are obscuring is devoid of stars. What lies behind these dark clouds of interstellar dust? B142-3 are best viewed at low power with a telescope. They can also be observed with binoculars from a dark site. Located at RA 17 46.3, Dec +05 43 in the constellation Ophiuchus, IC 4665 is a short 1 1/2° hop from Beta Ophiuchi. Discovered by the Swiss astronomer Philippe Loys de Chéseaux, it has a total visual magnitude of 4.2, is 41' in size, and is located 1,400 light years away. This large, bright cluster contains an asterism forming the word "HI". 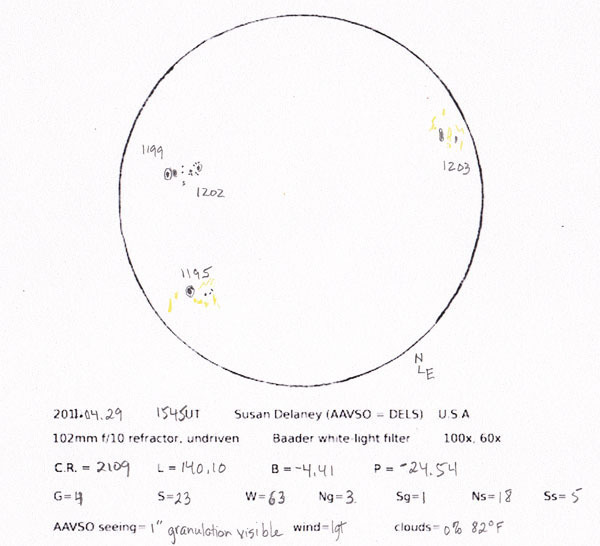 In a 9x50 finderscope and at 25x in a 4" Dobsonian, the HI asterism was readily apparent. This was more difficult to discern at 35x with a wide field 40mm eyepiece in a 10" Dobsonian. The larger scope revealed 2 dozen stars that were fairly evenly scattered and well detached from the surrounding field. At first glance, I noticed rows and columns of stars intersecting one another. As my eyes adapted, I eventually began to see the H asterism with a line of 3 stars forming the letter I nearby. The asterism was lost at higher powers. This is a fine object in binoculars, finders, and telescopes at low power in a wide field view. Campbell's Hydrogen star, PK64+5.1, is located in Cygnus. It is magnitude 9.6 and appears as a starlike planetary nebulae. It is a starhop from Albireo. It is a challenging object because of its location in a densely populated area of the beautiful summer Milky Way. You may find this object interesting because of its reddish color. According to the observing reports below, you will need to use high power to observe this object. Have you observed this object? What did you see? Perhaps you will join me in observing this object during the upcoming months! Did you know that our Sun is a yellow dwarf star that is in a continuous state of transformation? It can be one of the most interesting celestial objects to observe through a telescope! There is always something new to see as we observe the sunspot groups evolve during their westward journey across the Sun's disk. 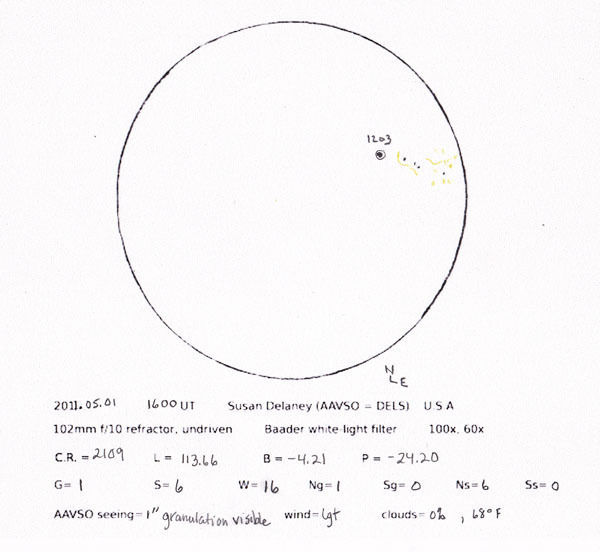 We will use a telescope fitted with a Baader white-light solar filter to safely observe the active regions on the Sun. Some of the features we will observe: sunspot groups, umbrae, penumbrae, faculae, and maybe even a rare white-light solar flare! 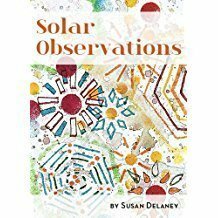 Accuracy, rather than artistic talent, is all that's needed to sketch your observation of the Sun. The starry sky twinkles and shines with countless stars. The Milky Way, a river of blazing Suns, spans the sky overhead in brilliant splendor. Where among these stars is Polaris - the North Star? And where is the constellation Orion? Or the asterism of the Big Dipper? Are you interested in learning how to locate the North Star and recognize some of the major constellations and guide stars? Once you discover how the star patterns resemble animals, people, and objects, navigating your way around the night sky will be fun! Have you ever wondered what the Andromeda galaxy looked like? Have you heard of the Ring Nebula? These and other deep-sky objects are part of the Messier Catalog: a listing of galaxies, star clusters, and nebulae visible through a telescope or binoculars. Take a tour of these celestial objects and witness first hand the wonders of the universe! Have you ever wondered about the dark areas and other features of the Moon? Observing the moon is great fun! We will use a telescope to see detailed views of the major lunar features including: craters, maria, highlands, mountains, domes, and ray systems. Artistic skill is not a requirement, just diagram what you see! 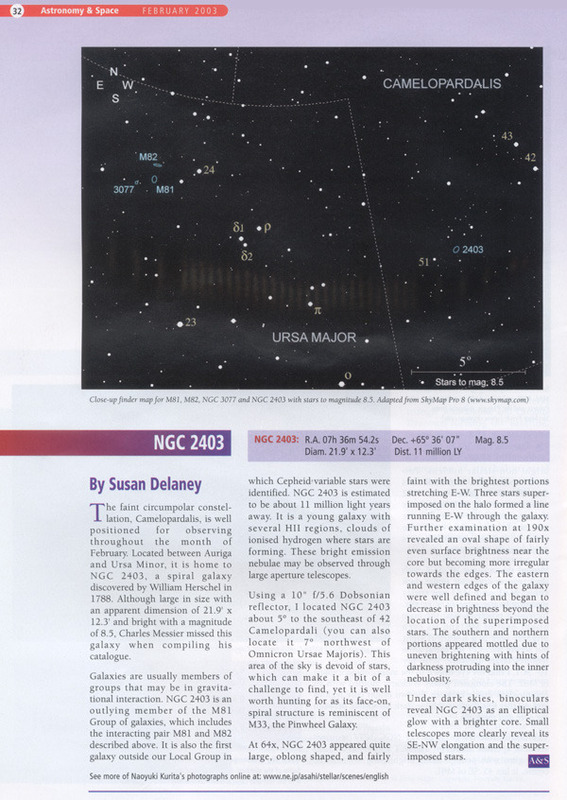 Are you thinking about purchasing equipment for observing the night-sky or Sun? We will explore what type of equipment will best meet your observing requirements before you invest in expensive equipment. You will use a refractor and Dobsonian reflector to become familiar with their motions, pointing and aligning objects in the finderscope and eyepiece, focusing, eye placement, using different eyepieces and magnifying powers, and filter usage. Wear layers and dress for 15º cooler than the predicted temperature for the night. Wear insulated shoes, gloves, hat, and scarf in colder weather. Why a “red beam flashlight”? To see faint objects through a telescope, your eyes must undergo a process called dark adaptation. This process takes about 30 minutes. White light from flashlights, car headlights, street lights, any light other than red, will destroy your dark adaptation in seconds. You will then have to wait another 30 minutes to become fully dark adapted again. cover the flashlight with one to two layers of red cellophane and fasten the cellophane with a rubber band (do not use too many layers or you will block the light from the flashlight). paint the lens in red nail polish. 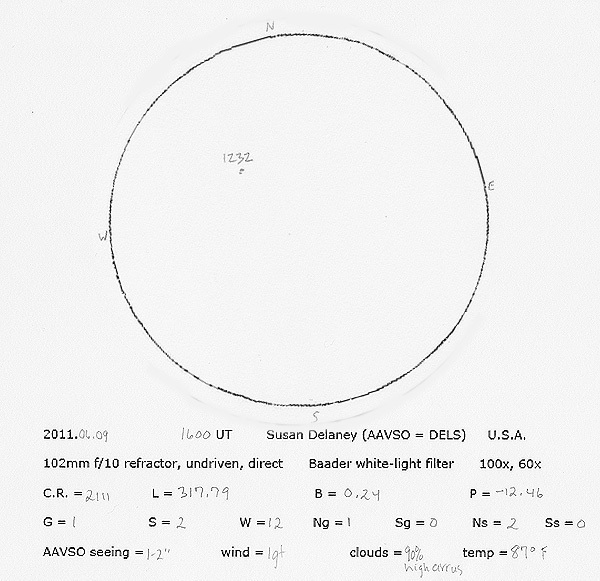 cut a circular piece out of a red plastic report binder and place it under the lens.